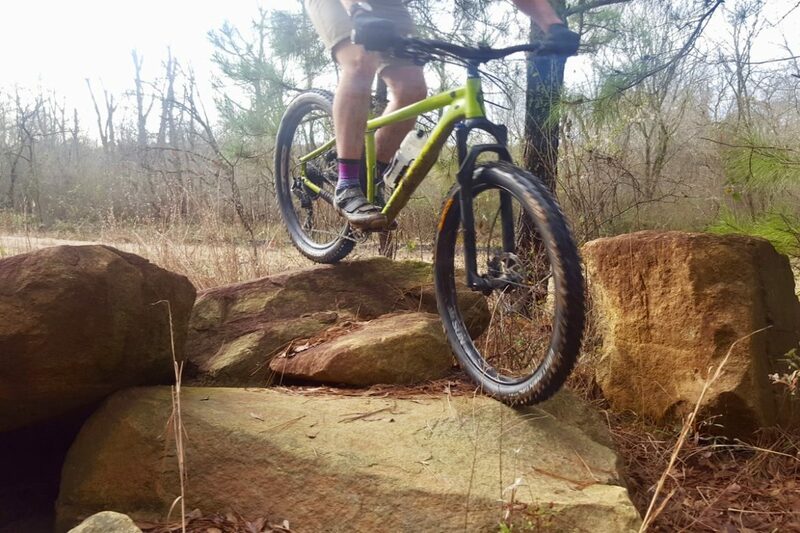 In the never-ending search for the perfect mountain bike tire you have to take several things into account including weight, rolling resistance, traction, and durability. And that’s just for starters. Then there are the tradeoffs. Tires that are extremely tough aren’t fast, fast tires aren’t as grippy, and so on. Continental’s new ProTection technology seeks to check as many boxes as possible. This new design is aimed to provide “the perfect mix of fast rolling, grip, and puncture protection.” I mounted up a couple of their newest tires — the Mountain King ProTection and Der Baron Projekt ProTection Apex, both 27.5×2.6″ — to see if they stand up to the hype. 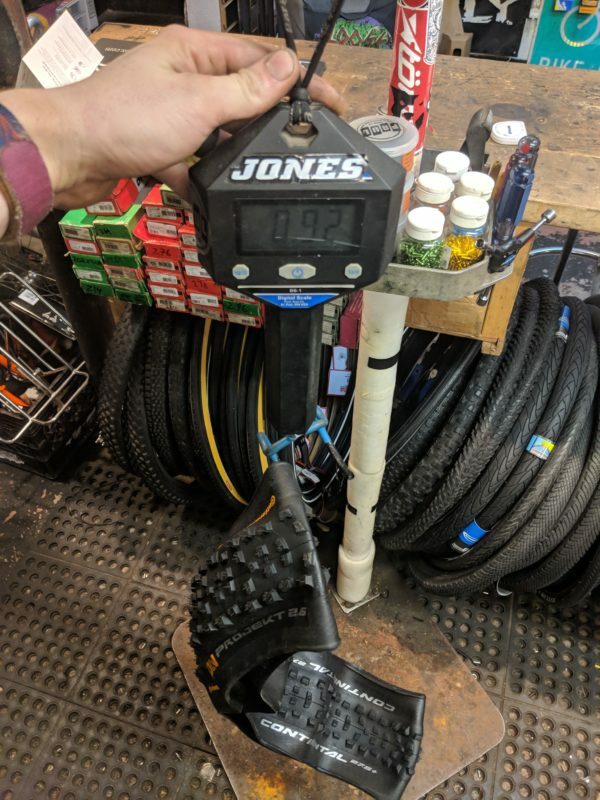 The first thing I noticed when handling the tires is that they both feel extremely hard compared to other tires I’ve used. I mounted them up tubeless with Stan’s sealant to a set of Race Face Arc 35 wheels with no problems. 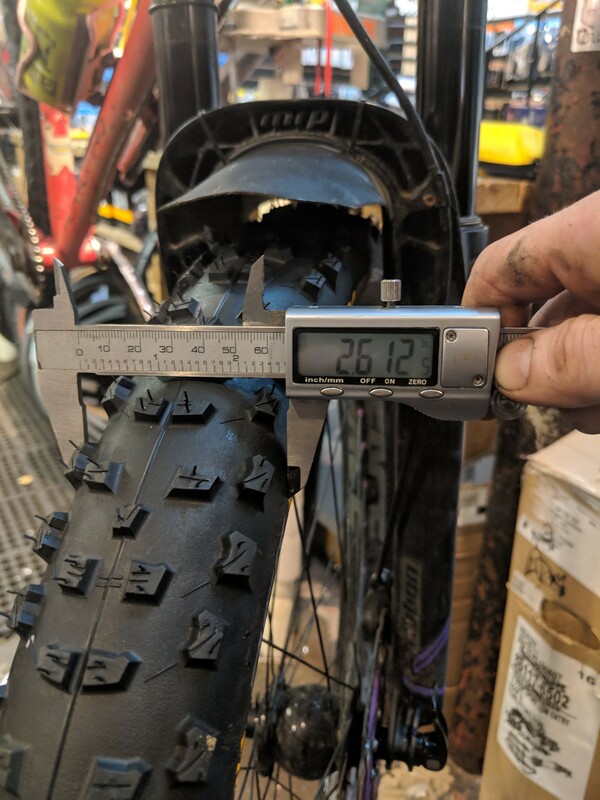 On a 35mm internal rim, both sets of tires measured out to a true 2.6 inches. The Der Baron ($74.95 MSRP) has a claimed weight of 930g, and on my scale it weighs 920g. I couldn’t find a claimed weight for the Mountain Kings, but my scale says they weigh 810g. 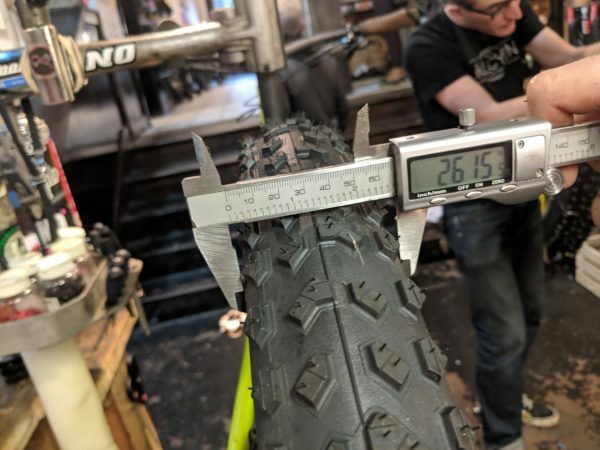 These weights fit in line with other trail and enduro tires on the market. I mounted the Der Baron in the front of my bike, and the Mountain King in the rear. Clockwise from right: Der Baron Projekt, Mountain King, Der Baron Projekt. Continental’s new ProTection technology is a novel concept in tire design. By sandwiching four, 240 tpi layers under the tread and three 180 tpi layers under the sidewall, the tires are designed to stand up to anything you can throw at them. The Der Baron that I received also has an additional Apex layer, which is an added fourth layer in the sidewall that adds stiffness as well as extra puncture protection. On top of all of these layers is Continental’s famous Black Chili compound. The sidewalls also feature the “Race Flag” design, which I think looks pretty cool. On the trail, the first thing that stands out is the grip. 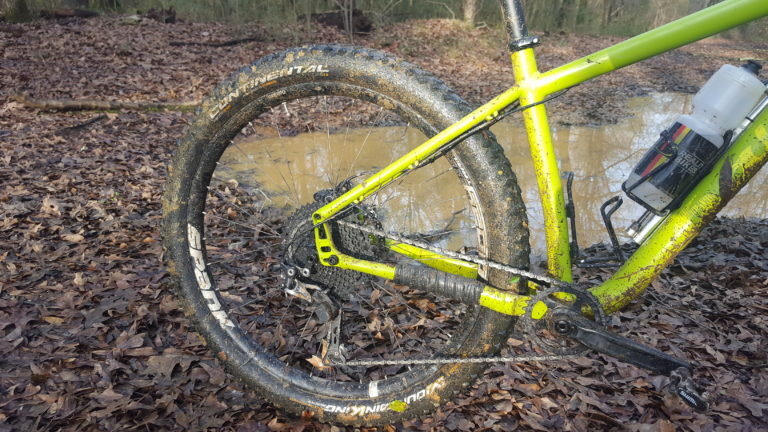 In soft dirt, clay, and mud these tires hook up to everything. I never once lost confidence when cornering at speed. 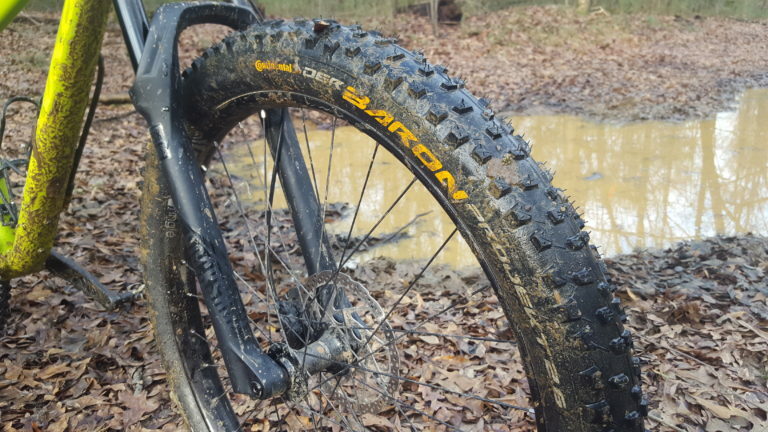 The Der Baron is a beast of an enduro tire, finding grip where I thought there was none. The Mountain King rolled well on the rear, and maintained plenty of traction even when standing and climbing. I rode these tires for several months, and never had a single puncture or tear. The ProTection technology definitely seems to prolong the durability of these tires. While the tires worked well for me on most trails, I did have a few issues. The biggest one is that they roll extremely slowly on singletrack. I found while climbing, or even on gravel roads, that the tires rolled much slower than many of the softer tires that I’ve used. The other issue is that, while the casing grips well on dirt, it does not conform over rocks or logs. I played around with the pressure, running anywhere from 14-20 psi and every time I hit a wet rock or log, the tire wanted to slide immediately. As I mentioned earlier, the casing feels very hard, and sorta slick. That added stiffness causes a lack of grip on some terrain, especially if wet. I will be the first to admit that I am not a pro downhiller. I am an avid trail rider, but that doesn’t mean I don’t ride my fair share of rough stuff. For my style of riding, I prefer a tire that is a little faster with grip for all terrain, even if it lacks durability. The Der Baron is a tire designed to be incredibly durable for extremely aggressive riders. 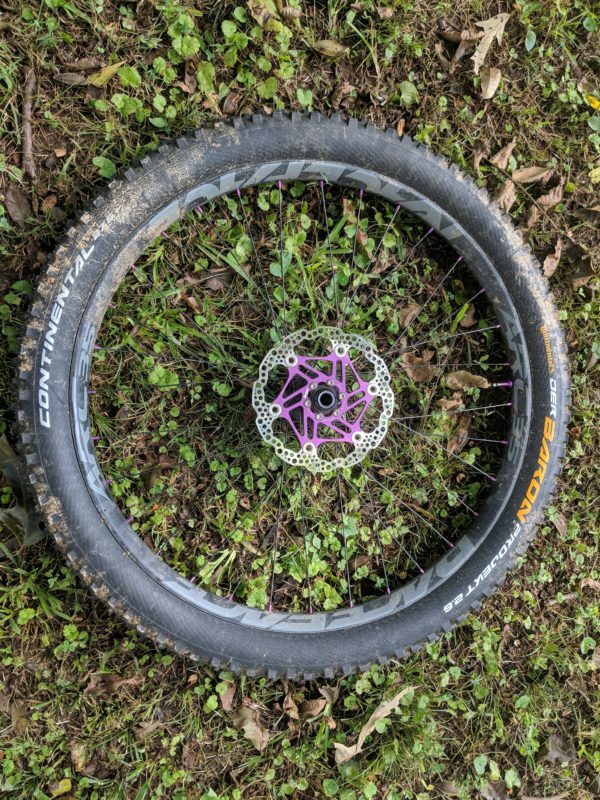 If you are an enduro or downhill racer who wants one of the toughest tires out there, I can’t recommend these tires enough. The Continental Mountain King and Der Baron Projekt tires will hold up better than almost anything out there. Of the two, the Mountain King is designed to be a little more my style, but all the added layers make the casing too hard for my liking. That being said, these tires held up much better than my usual tires do over time. If you are the kind of rider who is constantly destroying lightweight trail tires, these may be right up your alley. Thanks to Continental for providing these tires for review. Kirk McDowall will be racing on the Unior/Devinci Factory team for the 2019 UCI World Cup DH season.